Go to Settings and once the page loads, select Financial. Once the page loads, you should be able to see a heading marked as ‘End of Financial Year’. Match up the Day & Month to the end dates of your reporting year. 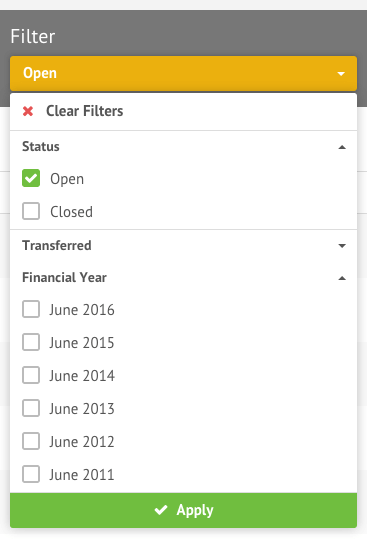 Once the End of Financial Year setting has been configured, navigate to Financial > Batches,Transactions or Pledges. You will then be able to filter by Financial Year.